[NEW GADGET] This is a real case of Sony relentless desire for innovation. Somehow, the Engineers at Sony are as creative as those at Motorola whom came up with the Motorola BackFlip. Well, if you are a fan of Sony’s innovation, check out the specifications below. 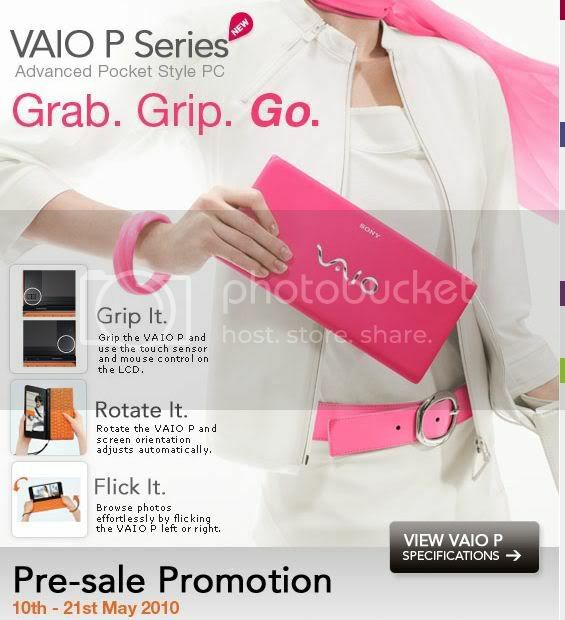 The new features such as GPS and 3G slot have made the VAIO P a truly portable device. But for me, the inclusion of the optical touch pad which allows the usage of the computer in your hands, truly gave the machine a much-needed improvement (check out the three small boxes in the image above). I have used the previous generation and there is no way you can use it in your hands. VAIO P looks cool and is much improved. But at S$1,599 will you be one of the buyers?